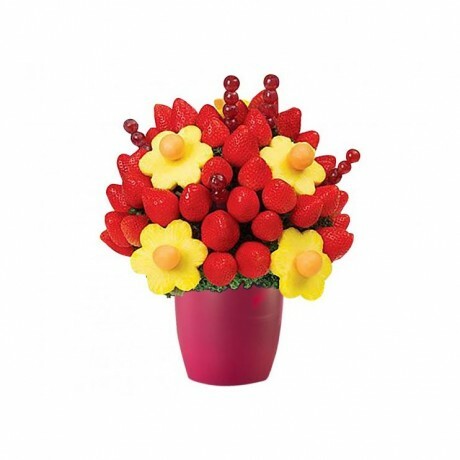 The Fruity Banquet Bouquet is the perfect delicious gift to impress! Features strawberries, grapes, juicy pineapple and cantaloupe melon balls. Makes a unique and memorable gift for any special occasion. Perfect for Mother's Day, or as a sweet treat for a healthy foodie.